After church my family and I went out to dinner. 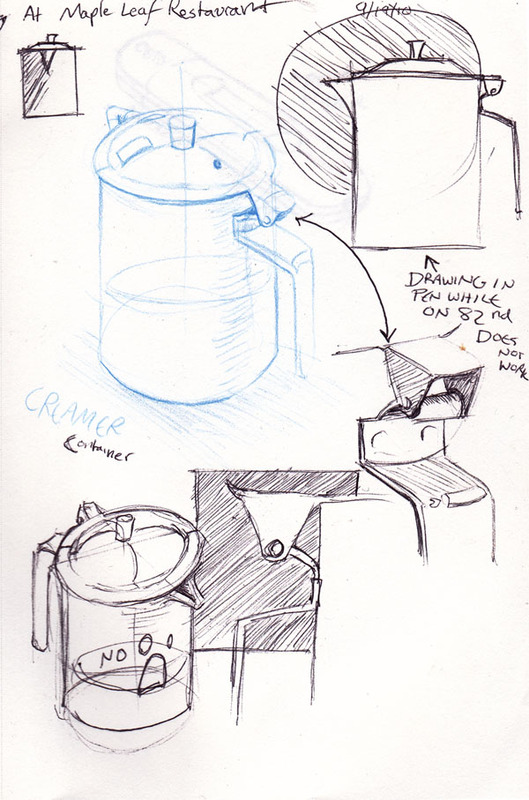 Here, have some creamer pitcher sketches! 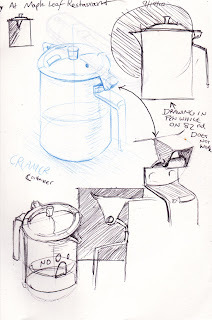 People keep saying "you must be bored" when I draw little things like this and the stapler. I'd like to tell them that I draw little things because I find the way they are put together fascinating, but usually I just reply, "yup." It's easier than watching their eyes glaze over.